KUCHING: Sarawak Report editor Clare Rewcastle-Brown remains barred from entering Sarawak. Chief Minister Datuk Patinggi Abang Johari Tun Openg said he has no intention of lifting the entry ban at the moment. “She was in the (ban) list since my predecessor’s time…(Pehin Sri) Adenan’s time. “Her name is still there in the list. 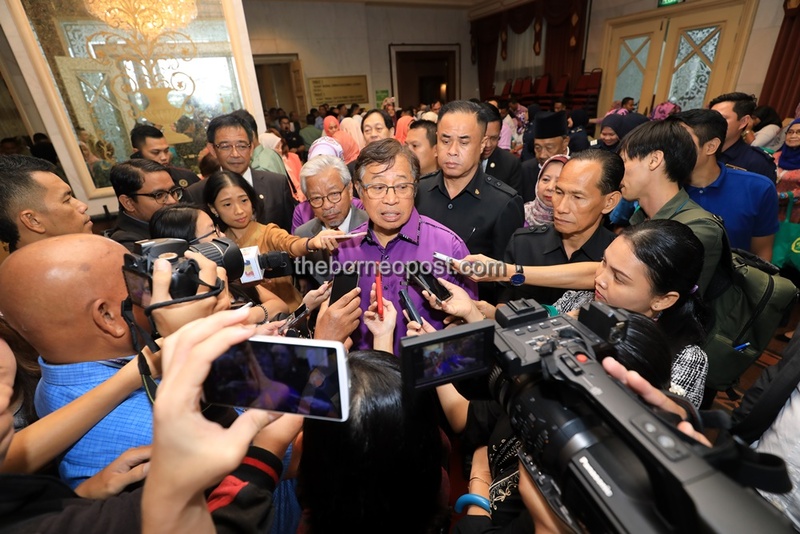 But I haven’t decided whether I want to lift the ban or not,” he told reporters when met after officiating the ‘Sumbangsih Kuih Raya’ Distribution Ceremony at the old State Legislative Assembly (DUN) Complex here today. He was asked to comment on whether the state government would lift Rewcastle-Brown’s entry ban following her arrival in Kuala Lumpur last Saturday. The founder of Sarawak Report was able to visit the capital after the new Pakatan Harapan (PH) government took control of Putrajaya in the 14th General Election and an earlier arrest warrant on her was dropped. Rewcastle-Brown told a news portal that she was unsure of visiting Sarawak as she was not confident that her name had been lifted from the Sarawak immigration department’s blacklist.